For as long as I’ve known about Monsanto, I have only ever seen bad news about them. I first heard the name when I read Animal Vegetable Miracle. Then I heard about them again when I watched Food Inc.
One of the wonders of the world of social media is that pretenses you bring from your own life can be popped like a big bubble. Whenever I pictured Monsanto I pictured a sort of Earthly rendition of the Emperor’s crew from Star Wars. Guys dressed all in black, kind of scary looking, and very mean, for sure. It was that perception I had in mind when a conversation began that would lead to this post. See, as some of you know, back in July I asked my community to give me topics for posts that I would write throughout August. My friend Janice, to whom I’ve been talking online for just about a year, recommended I write a post relating to farming. I’ve known her to be a highly engaged and supportive member of the farming community, so I said sure, and I said I already had an idea in mind. Janice tweeted me back. “You know I work for Monsanto, right?” Sure enough, this information had been in her Twitter bio for as long as I’d known her, but I had missed it. Whether I just am not cued in to peoples’ bios or whether my own vision of Monsanto had blinded me, I had not made the connection at all. After extracting my foot from my Twitter mouth, it seemed we had an opportunity to provide a good conversation to our mutual communities. I asked Janice if I could interview her not necessarily about Monsanto (I’m not Barbara Walters) but rather about how a brand can deal with a person like me in the online world. How does Janice, as part of Monsanto’s PR department, deal with all of the bad press one sees in the line realm? Janice gracious agreed to reply despite a move to a different state, and here is what we came up with. 1. A lot of people say that a brand must be understood from the highest position right down to the lowest rung on the ladder. It’s clear the message Monsanto wants to get out there is “We’re friends of the farmer.” Is everyone trained the same way on that message? Monsanto had other businesses than agriculture in the past – the chemical business and sweeteners are among the most well known. Before I got to the company, agriculture became a standalone entity. It’s important for our employees to have the knowledge that as a business, we succeed when farmers succeed – after all, farmers are our customers. We’ve focused on that internally for a number of years. In the last couple of years though we’ve done more to communicate this vision externally too. 2. There are a lot of things about Monsanto that people really don’t like – how do you go about changing a company’s image for people who are so squarely set in their opinions? When I see people who have defined opinions I disagree with on a one-on-one basis, like the conversations I have with some people on social media, I try to listen and ask questions when I hear people say things that are in direct conflict with my experience. I like to know why they think some of the things they do, whether they’ve talked directly to customers and if they would be willing to hear my experience or that of farmer customers. In fact, that’s what happened with you and I after months of having known each other through social media. Social media is a venue where anyone can manipulate or control messages broadly, from our viewpoint, social media provides an opportunity for broad discussion. That is where Monsanto’s social media efforts are — we want to participate in the dialog about our business and agriculture more broadly. Since I came to Monsanto a few years ago, I’ve become much more aware of critics who also have their own agenda. And quite frankly some critics have found it’s financially rewarding to spread misinformation. There are some people so entrenched in a belief talking can’t be productive, but many people are open to the conversation. When criticism gets on a larger scale, I usually try to look at from the standpoint of trying to understand the context of the topic which can get left out. Having so many farmers and ranchers active on social media helps me gain additional perspective on various topics of discussion. 3. How has social media helped your PR efforts? How has it hurt? By being active in social media, people can find us if they are interested in what we have to say – both good and bad to that I guess. Transparency provided in social media is vastly different and we’re seeing more and more farmers out here, each able to offer their individual opinions. That helps people understand things aren’t always back and white. One of the benefits of social media is real people and faces are part of the conversation, not just a logo. We hear customers point to this as well as people who may not have known much about us previously. It also lets us participate in real-time discussions and reach large groups of people. Over time this may be able to keep some of the myths from taking as firm a hold as they had in the past. Real-time and mass distribution are also tough things to deal with when something new is talked about. We are pushed to move faster than with other media and when some of the things we see are technically complex, we have to be sure we remain scientifically accurate. That means there are times when we have to tell people we will get back to them. 4. There have been instances in the past where Monsanto has been attacked and the company did not respond. In retrospect, do you think it would have been better for the company to engage? Do you think Social Media is forcing companies to engage with critics more? If you don’t mind, on the first part…. I’m not sure whether it has been a responding or not getting the response to all the interested audiences which can be perceived that we haven’t always responded. The internet made information more accessible to people but with social media, it’s easier for information to be included in the conversation about that information. Now, it is easier for people to hear from the company, our customers and employees directly instead of getting it filtered. We also have a lot more opportunity to interact with people. And we get to be in the conversations so much more often –we can tweet with farmers regularly about things they are seeing as do others. For that, social media has been amazing. As far as engaging with our critics more, social media allows for more engagement with the critics. However, I see a lot of critics, not just of Monsanto, looking only for those things which support the viewpoint they already have. So I’m not so sure we engage more directly with critics. There are probably some things that answering doesn’t have anything constructive to it – one of my farmer friends uses “when was the last time you beat your wife/husband/kids?” as the “no win” question. It tends to be more the people somewhere in the middle of the spectrum that this has helped us, and agriculture in general, reach. With that in mind, we don’t get painted with the same broad brush we may have before. What lessons can you derive from this interview for your own brand or business? I’d love to hear your thoughts! Thanks Margie for the chance to walkthrough some of this. Some critics have found it financially rewarding to spread misinformation is so true Janice. We see it in the forest products industry everyday. Bad news travels fast and it’s a competitive world. Bad combo! Margie, I love the “transparency” of your blog. You invite not only interviewed guests to speak to their views and to address somewhat controversial issues in a safe arena but you invite your community to speak openly and honestly without fear of judgement. Oh, if the world would only take a lesson from your intelligent and diplomatic approach to communication. 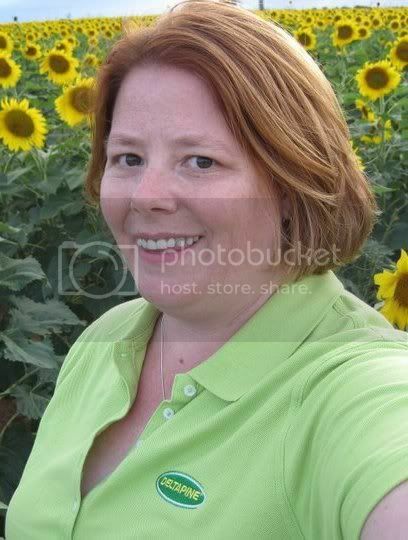 Janice, thank you for speaking to many of the Monsanto issues. You are articulate and your responses were intelligent and experiential. Thanks Claudia. I do the best I can. I’m not really here to spout off my own belief system, I’m here to converse. In order to allow for that, I have to be willing to, well, converse 🙂 Shocking, I know! Thank you for the nice compliment. I love talking with people who are willing to have the conversation, especially when there are such complex topics. Thank you Margie and Janice for the blog. As a dairy producer, I’m thankful for modern methods and technology which enables us to be more efficient while producing an abundance of high quality food. I’ve seen Food Inc., Fast Food Nation, King Corn and other movies that portray companies like Monsanto, and anything that resembles modern agriculture, as bad. These movies are portrayed as factual documentaries about the American food system. From my perspective, they are based on many opinions and few facts. They promote the idea that only small, organic, old-fashion farms that produce expensive food should exist and the only place to find quality food is a farmers market, roadside stand or to grow it yourself. These ideas are simply false and unrealistic.. I encourage everyone to look deeper into food production. Talk to a farmer and/or visit a farm. I think there’s probably a middle ground somewhere. I think Monsanto has done some things that were not good, but I think they also do a lot of beneficial things like what Janice talks about that don’t get covered as much. You are so right…. some of the films that are presented… it seems people forget they are done for the entertainment industry. The reality of agriculture is a full color spectrum, not the black and white polarization that can get depicted. I must say to both the interviewer and the interviewed, excellent job on what is often a very inflammatory topic. I wish more people could see that there are two sides to every issue, rather than wate time in counter productive yelling matches. Janice, this was an excellent representation of you as a agriculturist and a Monsanto employee, and Margie your willingness to look beyond your inital veiwpoint was a refreshing change from many writters. Thanks to both of you ladies for allowing us to be included in your conversation.